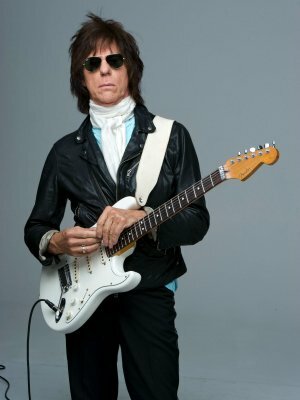 As the release of Jeff Beck's new album draws closer, the guitarist has shared the first single from the record, and it is now available to listen to by streaming. The song, entitled, 'Live in the Dark' is the first track available off Beck's first album in six years, which will be called Loud Hailer. The full album will be released on the 15th July 2016, but this song provides an exciting preview of what is to come. Loud Hailer will be Beck's 11th studio album, and a much anticipated record. It marks another new development for the innovative musician, as he teamed up with singer and guitarist duo, Rosie Bones and Carmen Vandenberg. This is the first time these three musicians have worked together, and makes for another interesting shift in a career which has seen Beck explore many musical avenues. Beck has said, speaking about the record: "I really wanted to make a statement about some of the nasty things I see going on in the world today, and I loved the idea of being at a rally and using this loud device to shout my point of view." You can listen to the single here. Coinciding with the release of his upcoming album, Beck is also publishing his first book entitled BECK01. To find out more about his signed limited edition, click here.